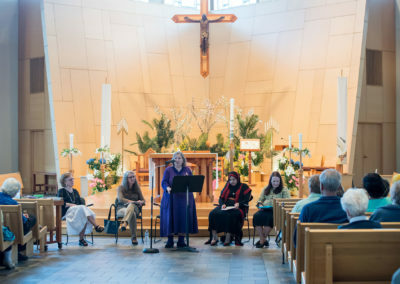 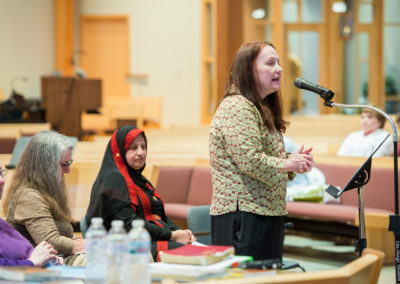 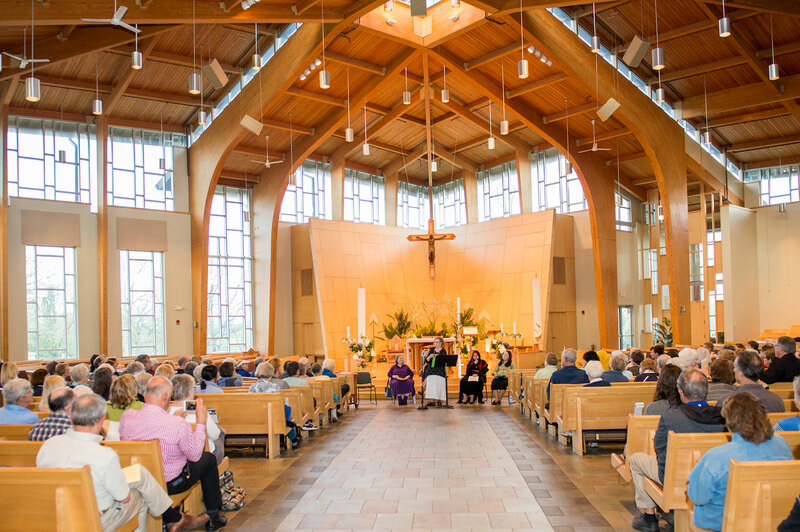 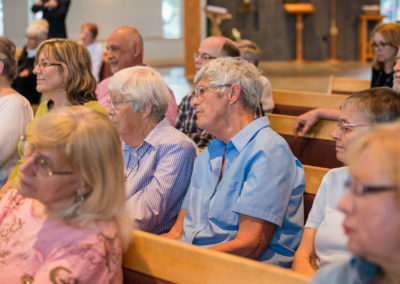 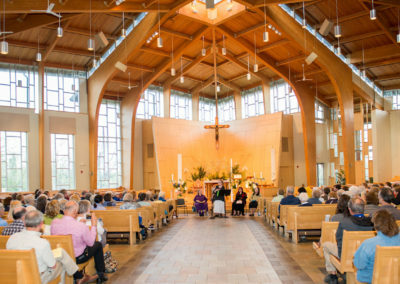 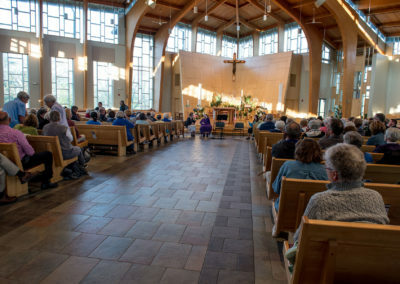 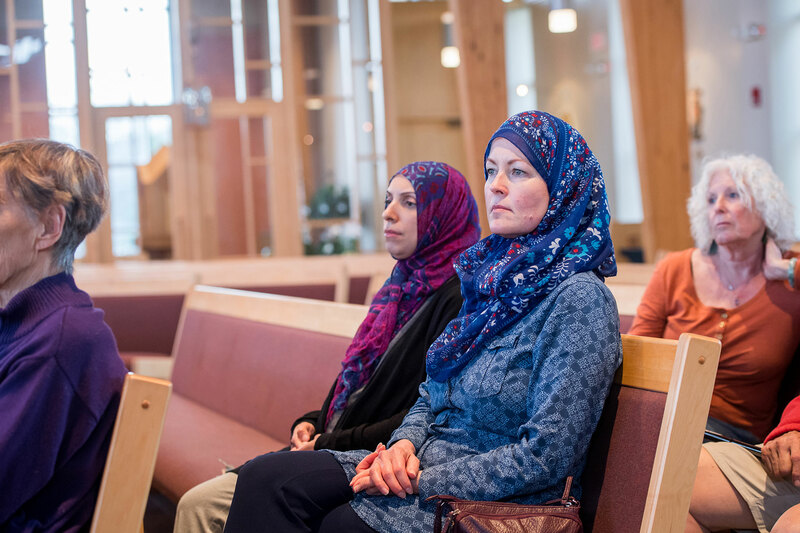 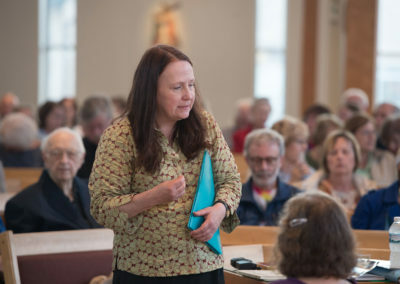 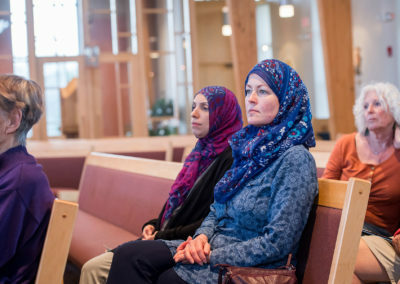 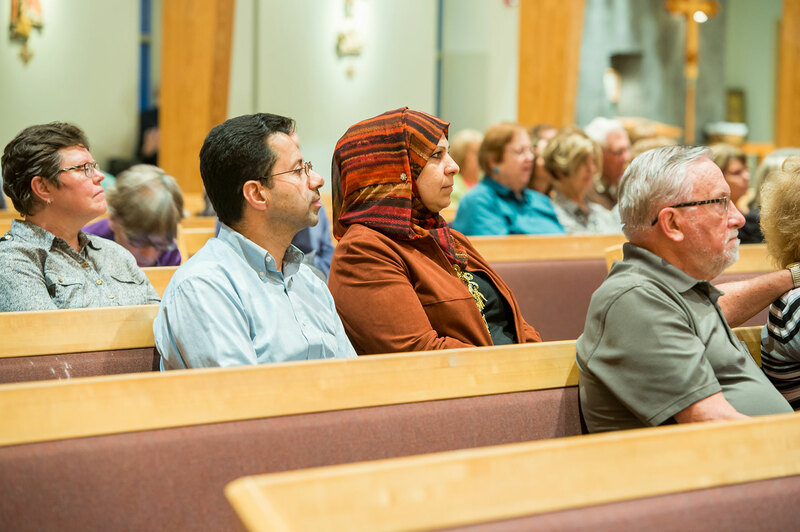 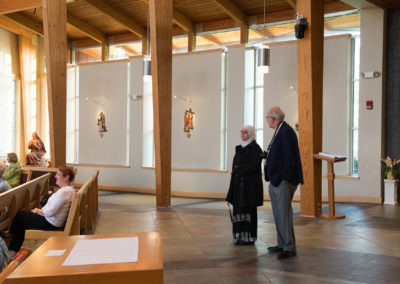 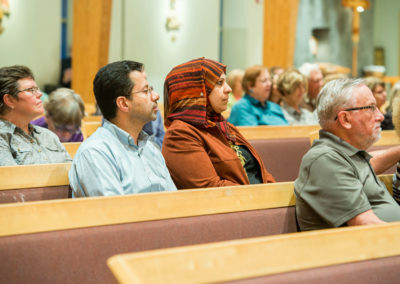 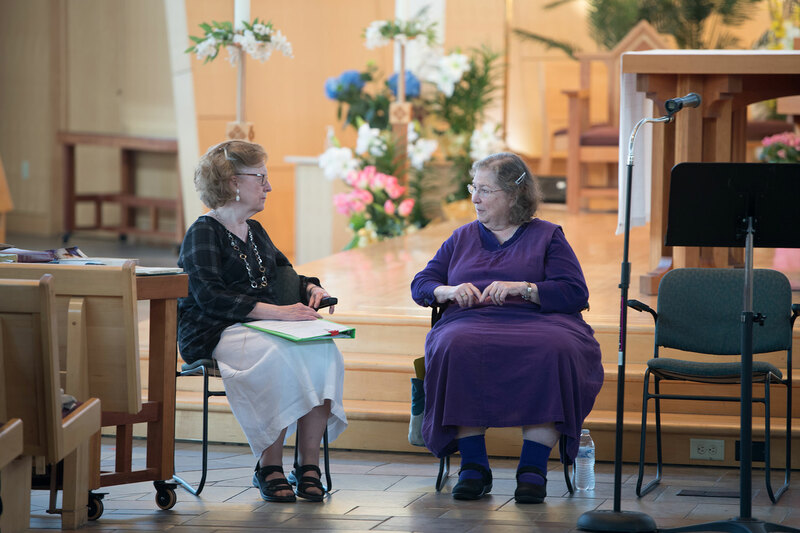 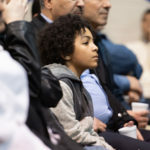 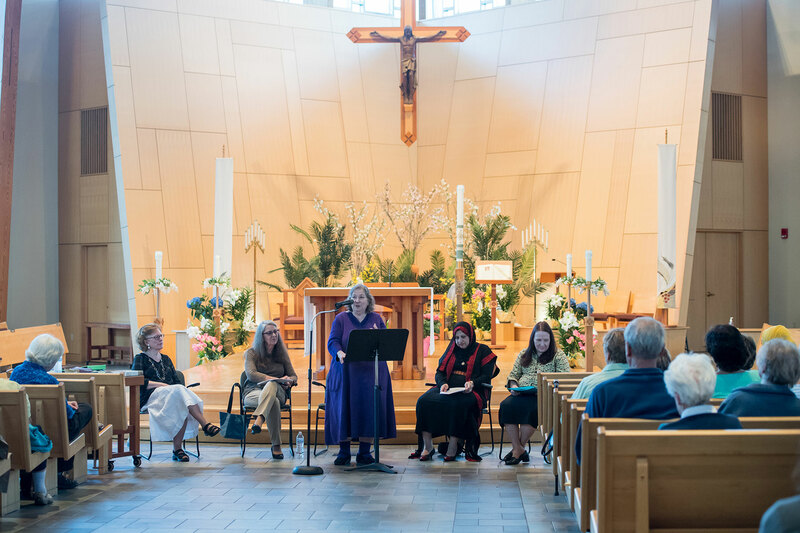 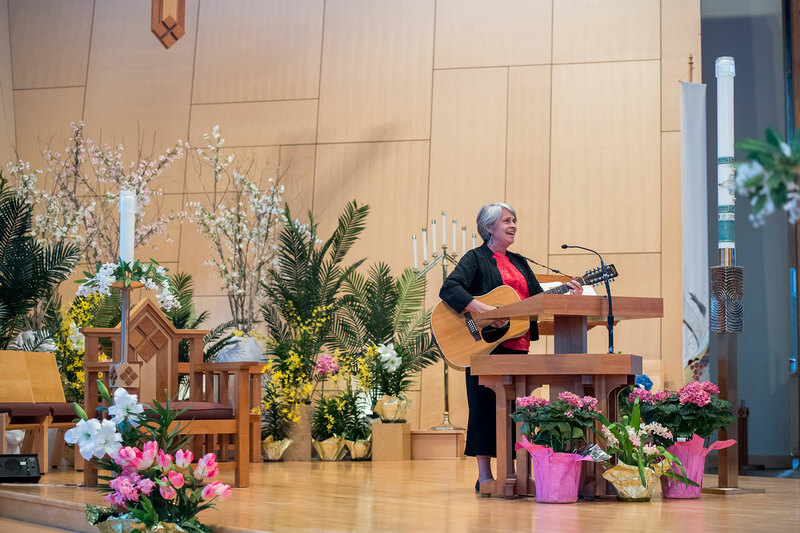 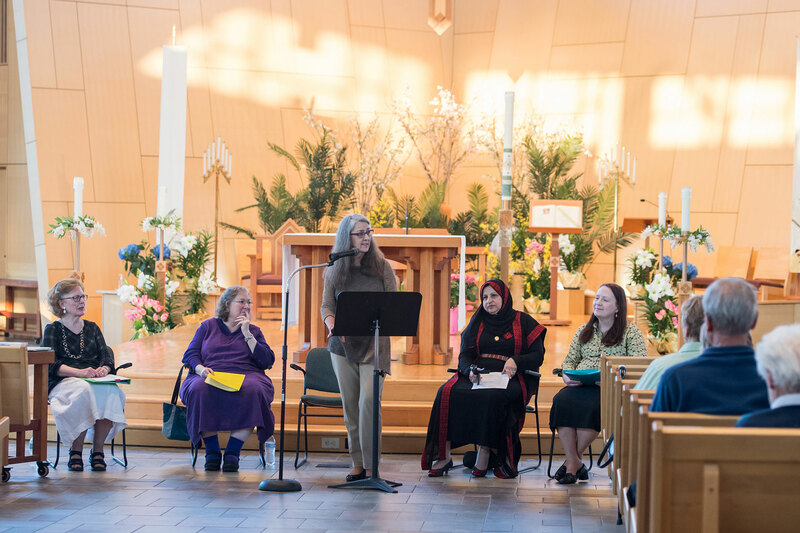 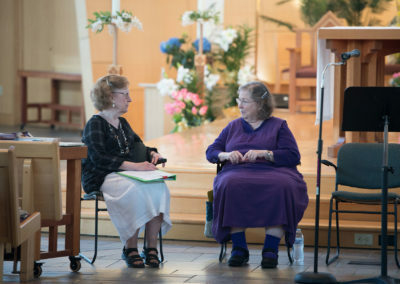 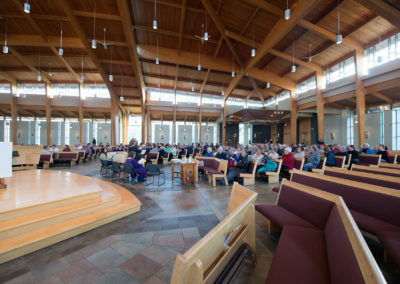 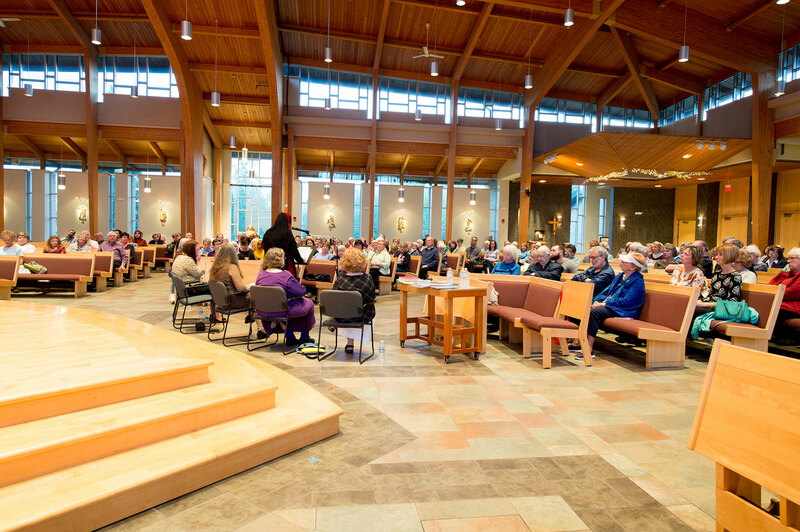 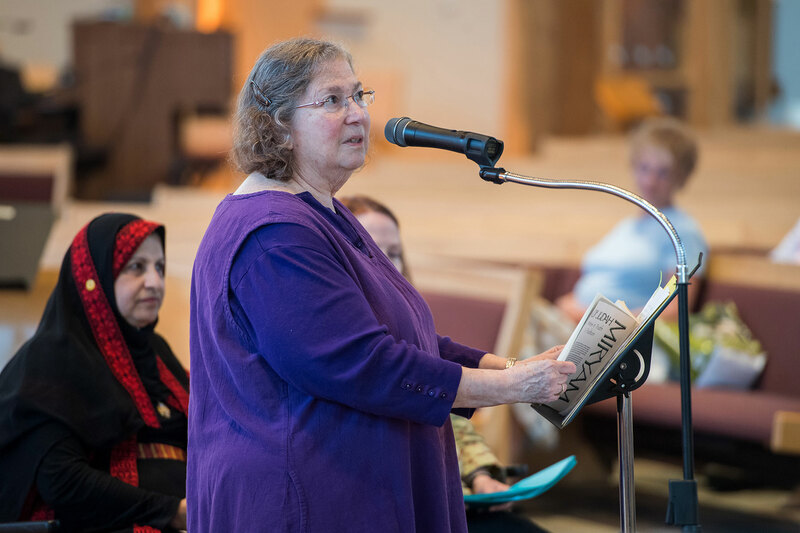 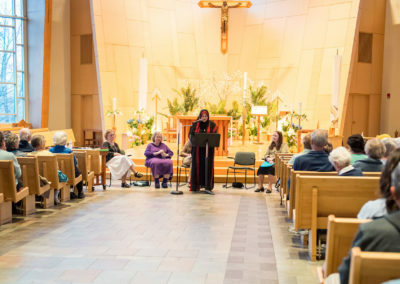 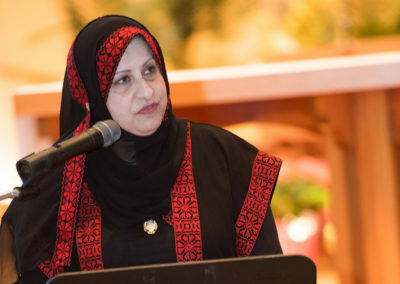 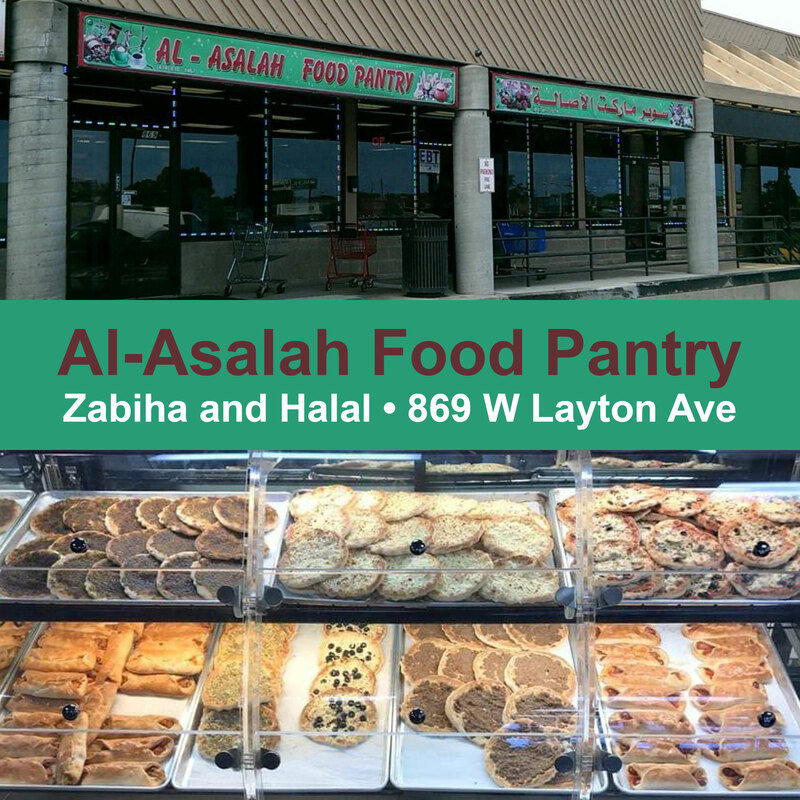 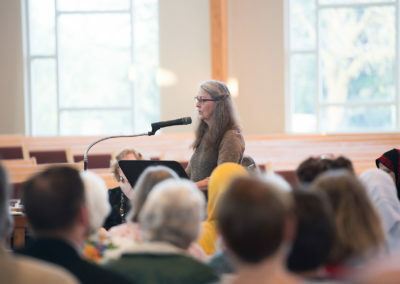 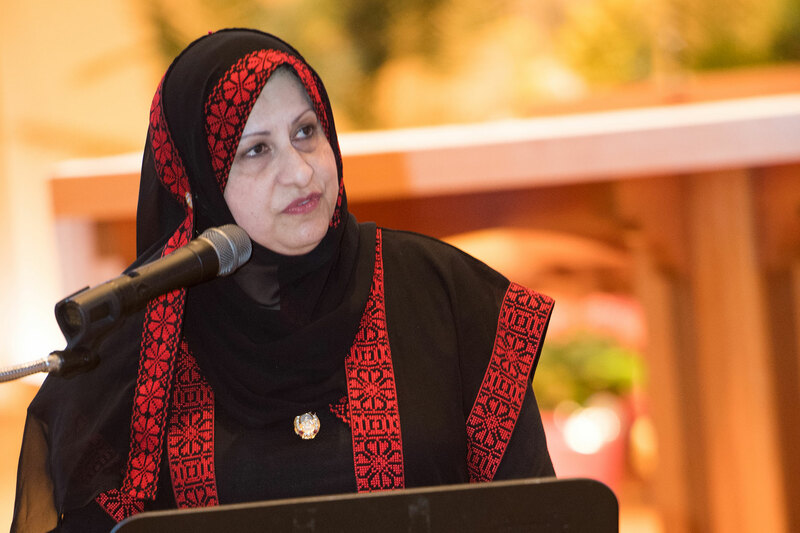 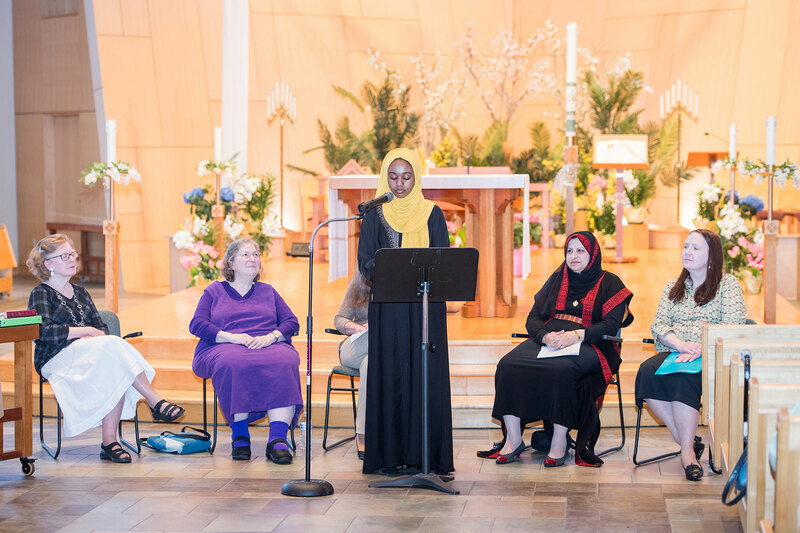 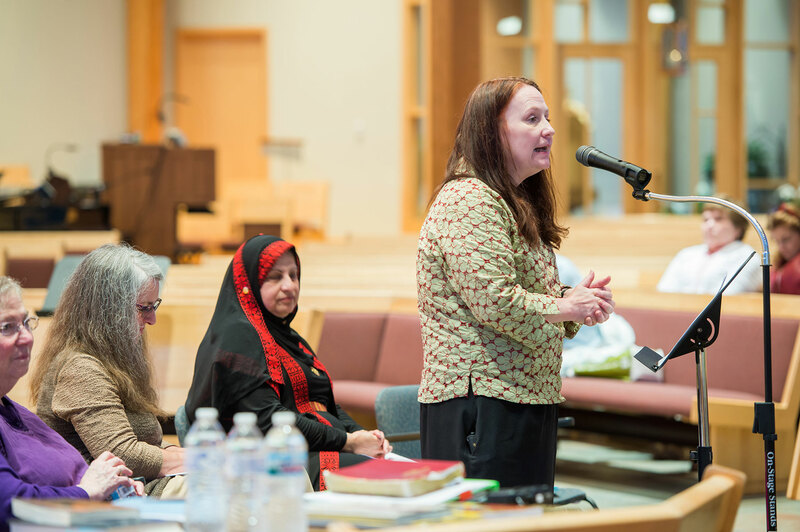 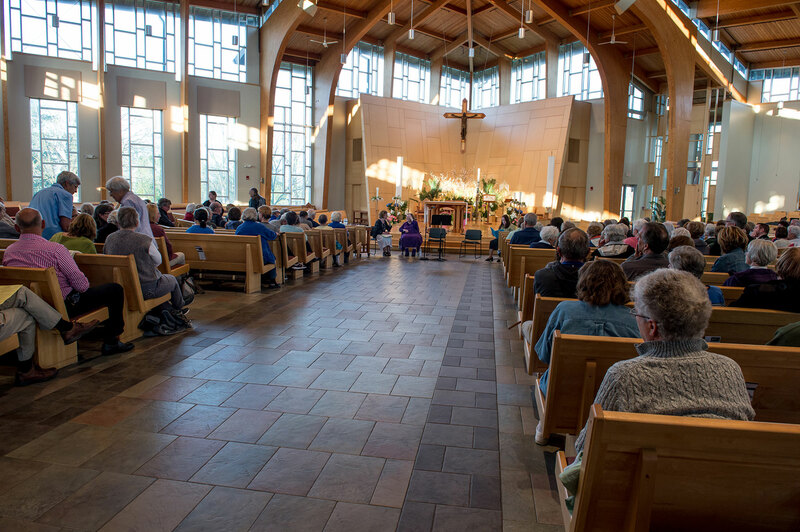 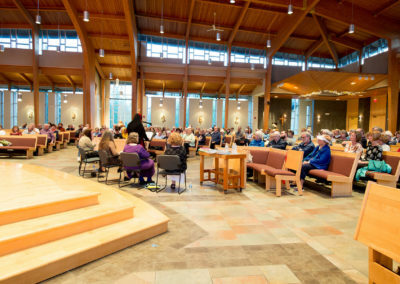 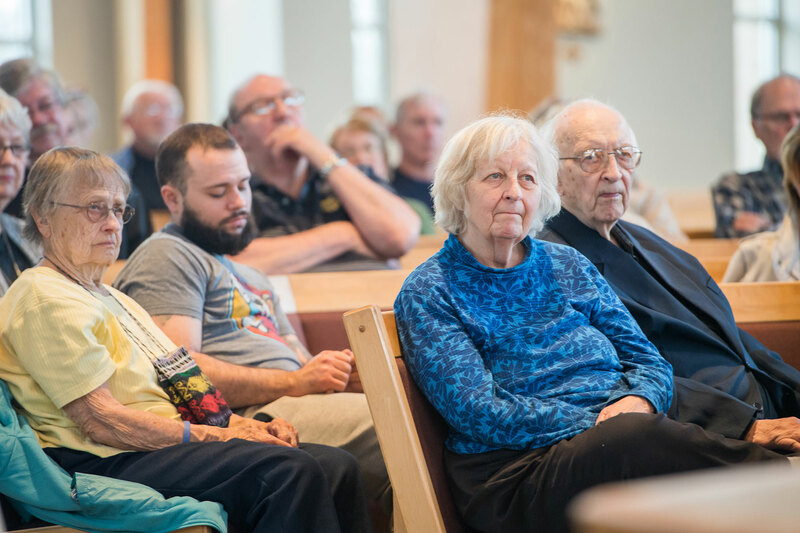 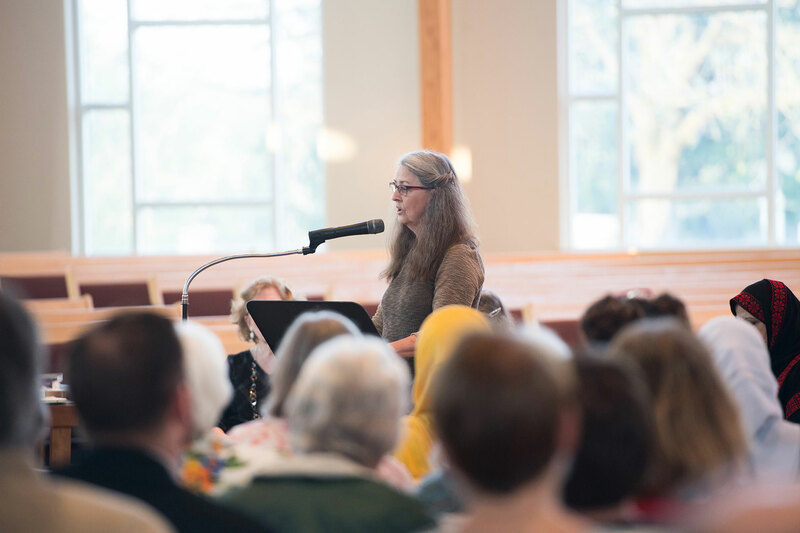 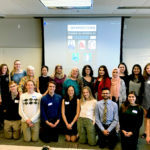 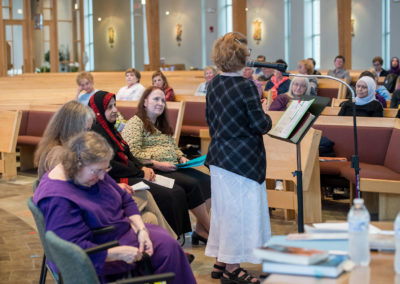 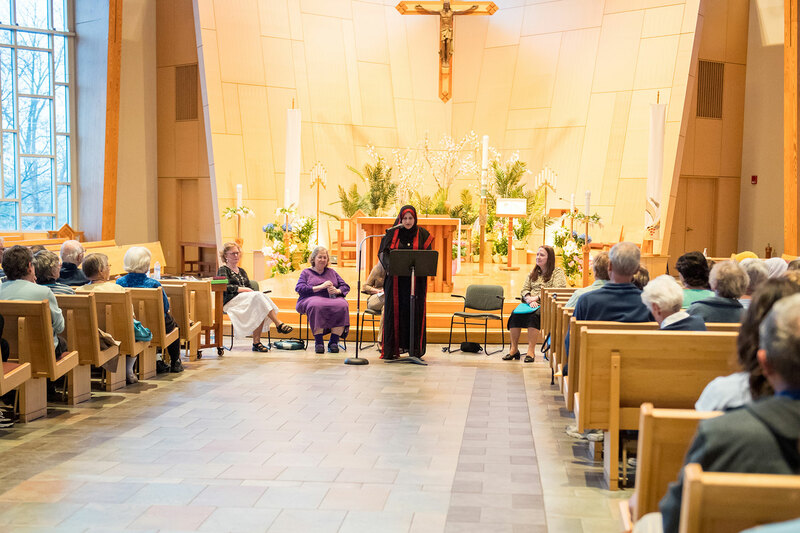 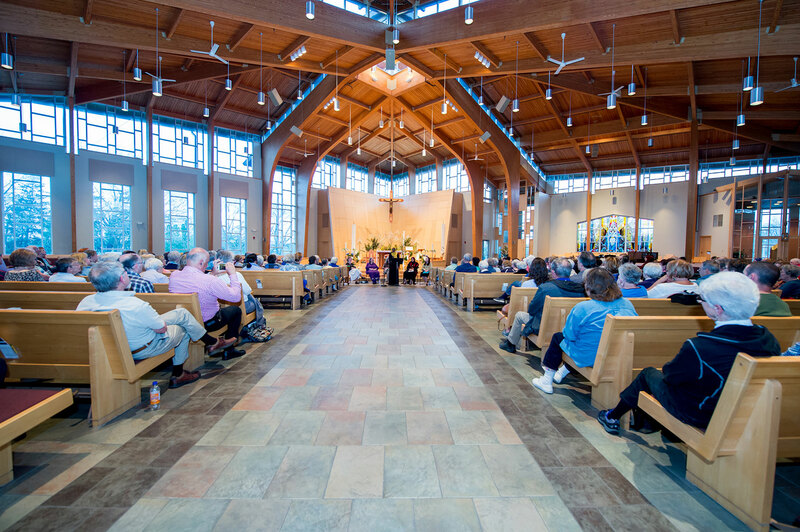 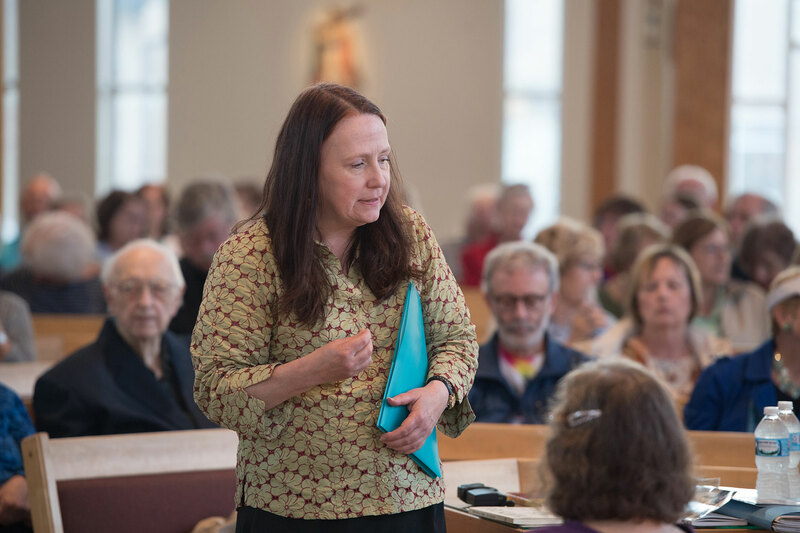 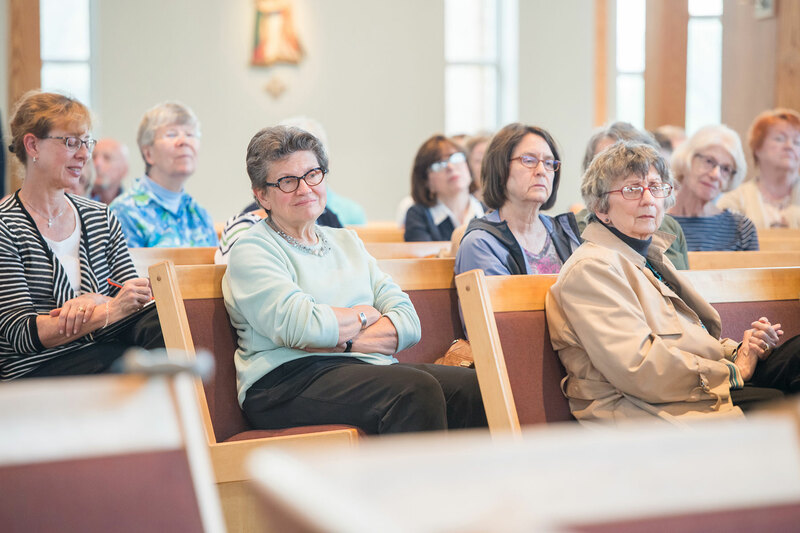 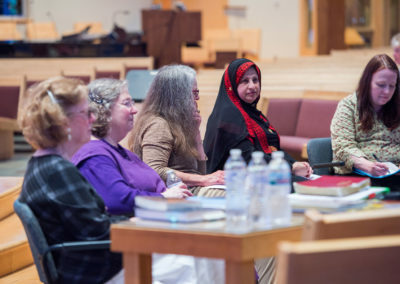 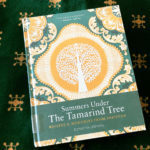 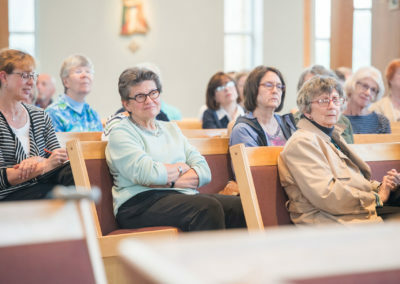 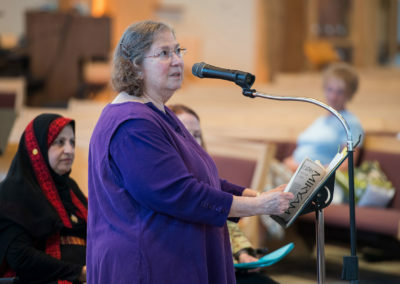 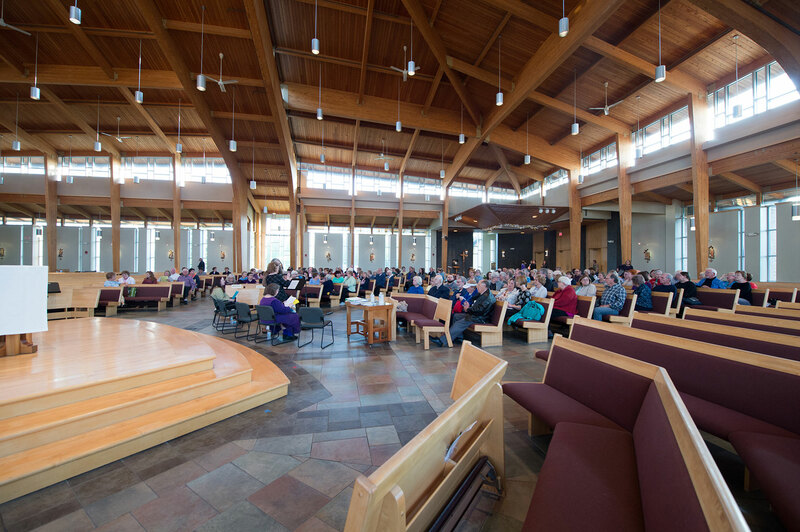 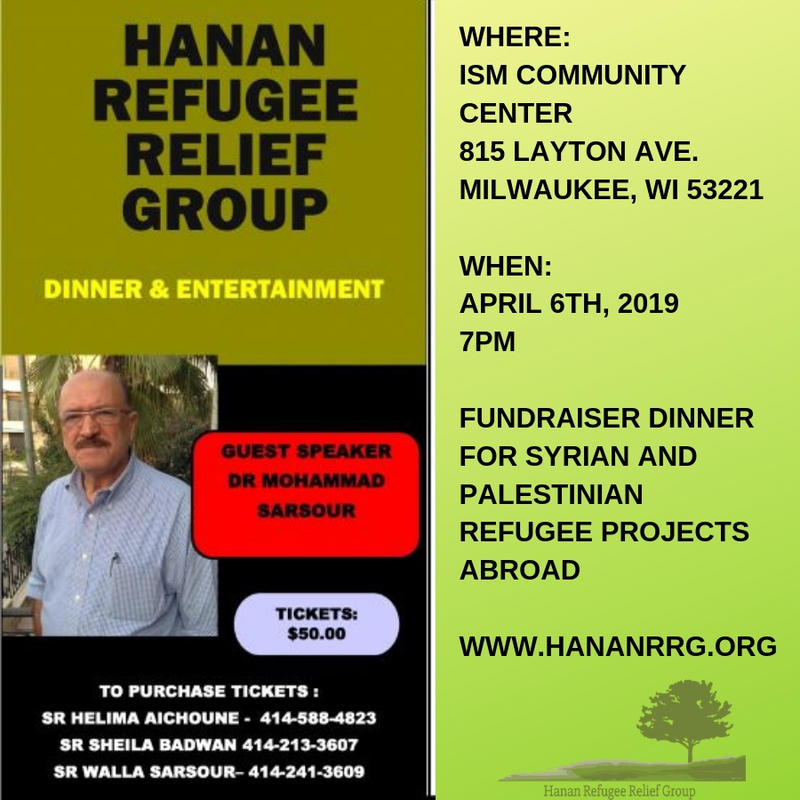 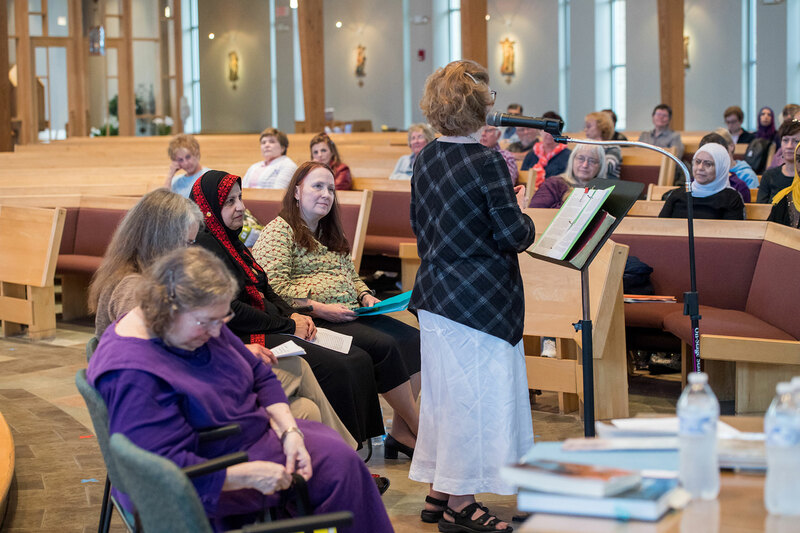 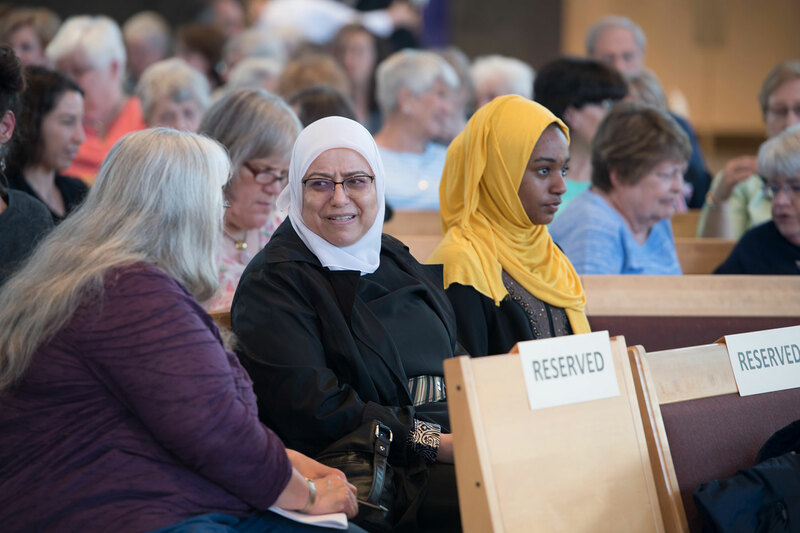 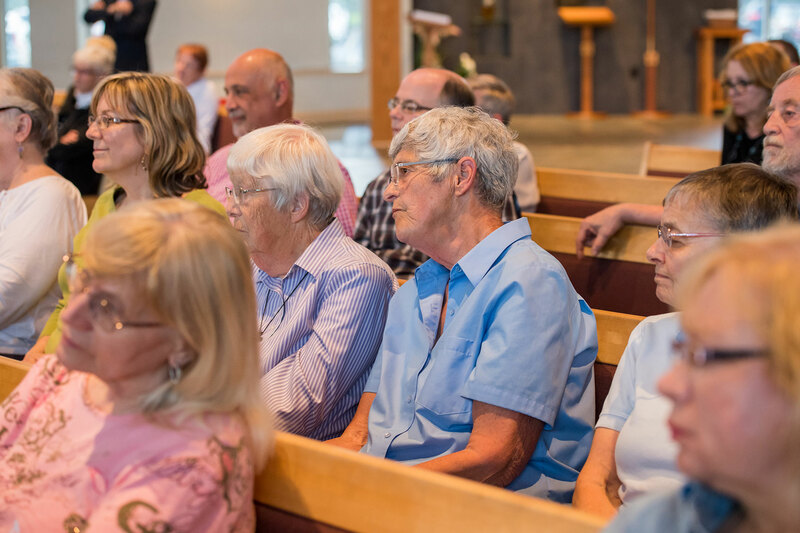 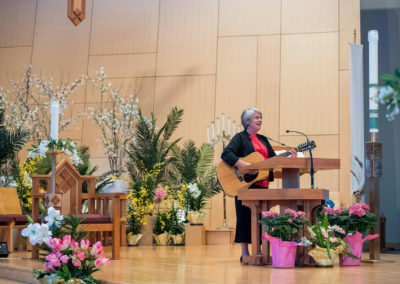 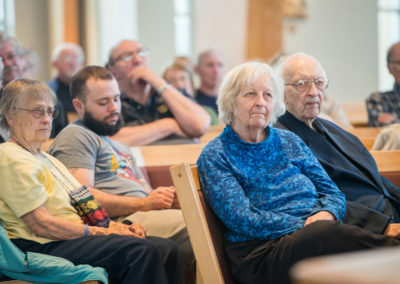 Organized by the Interfaith Conference of Greater Milwaukee’s Committee for interfaith Understanding, the May 9 event was held at St. Mary Catholic Faith Community in Hales Corners. 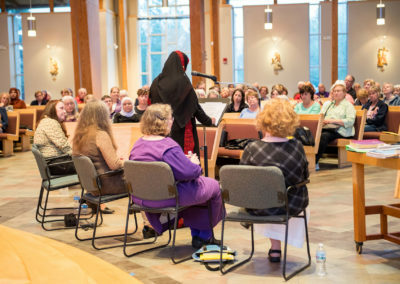 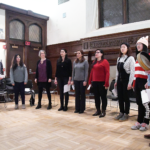 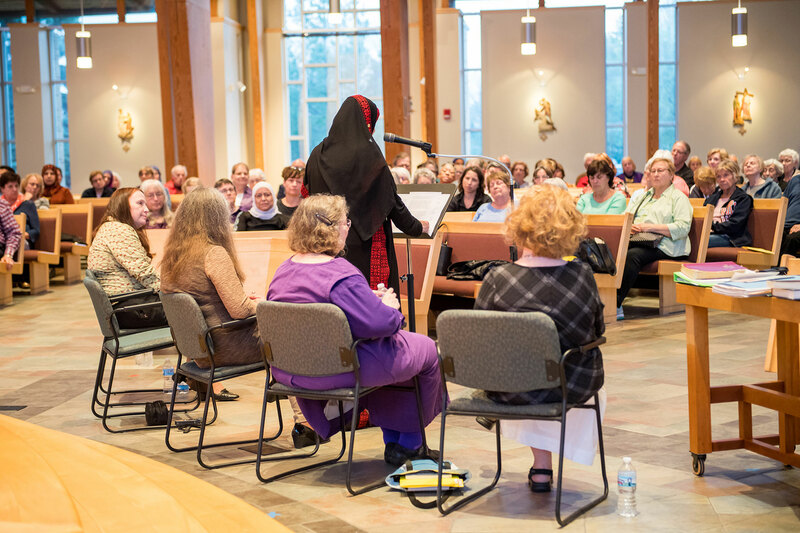 The presentation of “Mary, Mother of Jesus: Jewish, Christian, and Muslim Perspectives” drew about two hundred people. 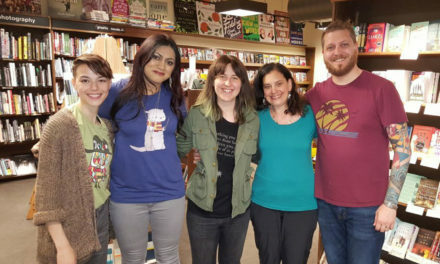 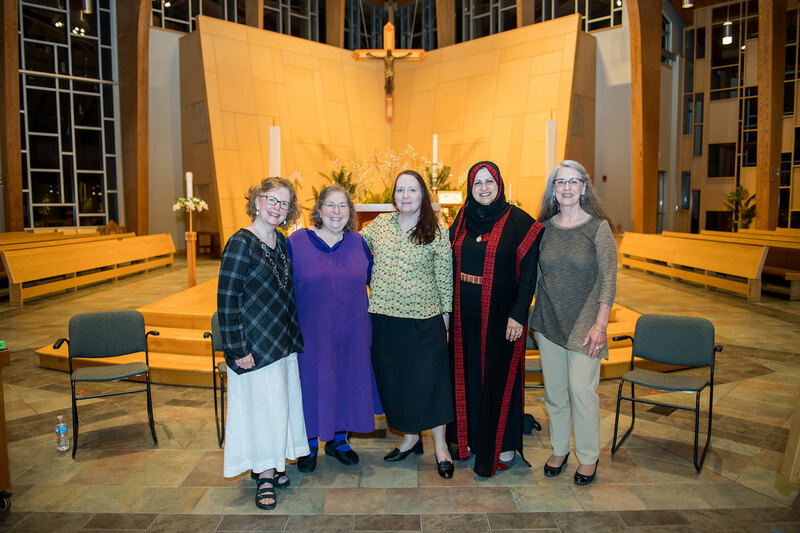 The four speakers each shared a perspective of Mary, as a way to understand her Jewish roots, her position of honor in both the Christian and Muslim traditions, and even the different theologies and devotional practices across the spectrum of Protestant denominations and in Catholicism. 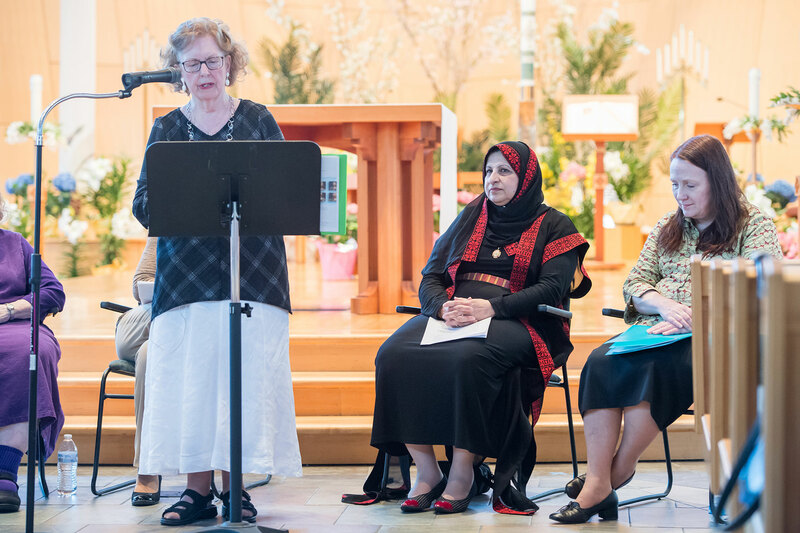 The presentation was moderated by Judith Longdin, former director of the Archdiocesan Office of Ecumenical and Interfaith Concerns. 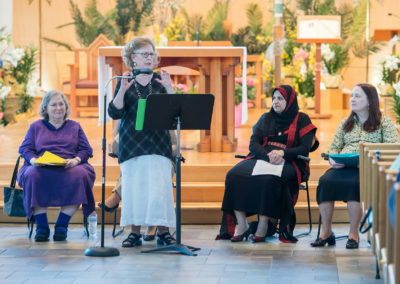 Presenters included Mary Matestic, Catholic educator and writer; Dr. Sherry Blumberg, Jewish educator and lecturer; Janan Najeeb, President of the Milwaukee Muslim Women’s Coalition and chair of the Interfaith Conference’s Committee for Interfaith Understanding; and the Reverend Karen Sundland, an American Baptist minister. 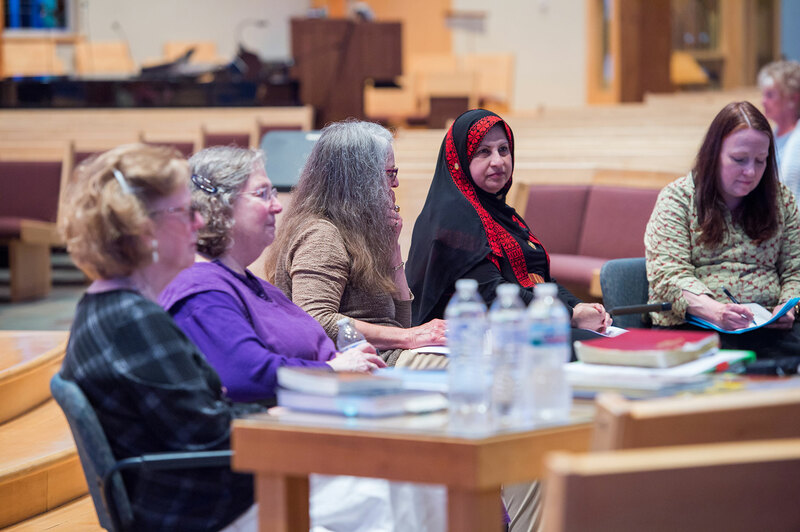 Interfaith Executive Director Tom Heinen adding additional perspectives during a Q&A session. 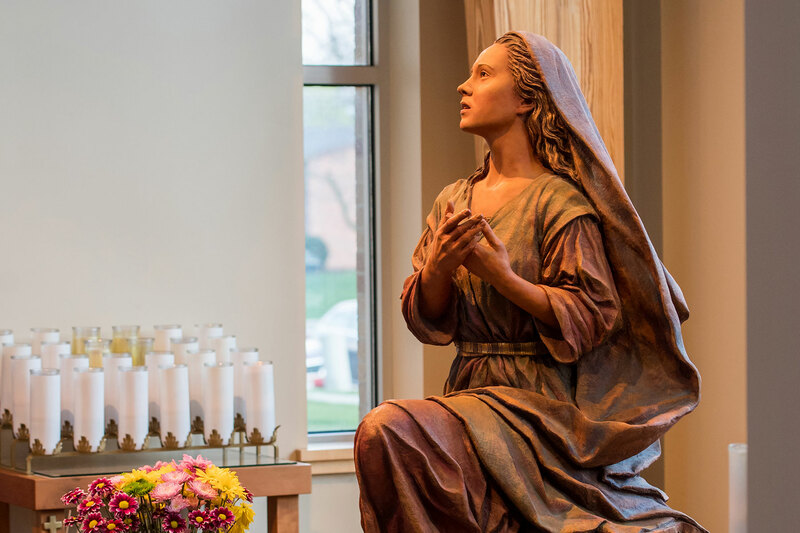 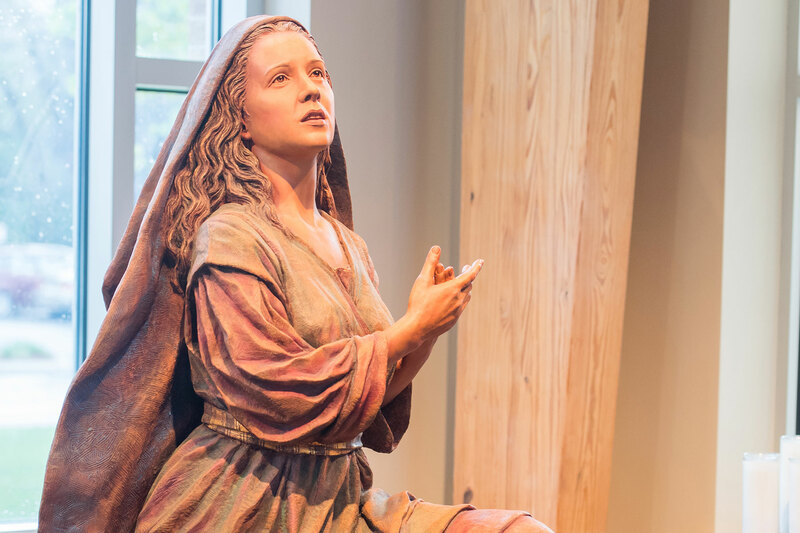 Visitors who attended the 90-minute discussion also took time to view the dynamic statue of Mary on display at the parish location. 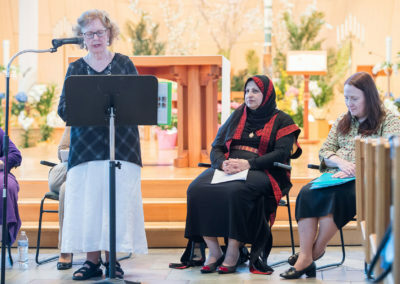 The program on Mary was planned after couple of Muslim women attending a memorial service noticed the distinct Palestinian belt on the statue. 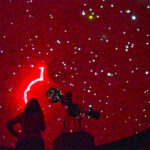 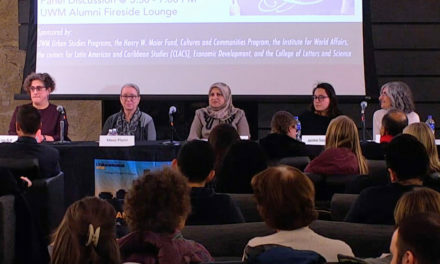 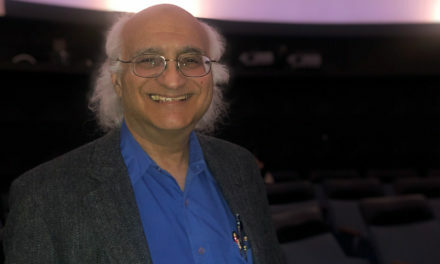 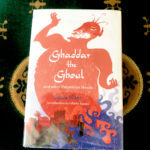 The audio presented here was recorded live during the event, and contains the full discussion. 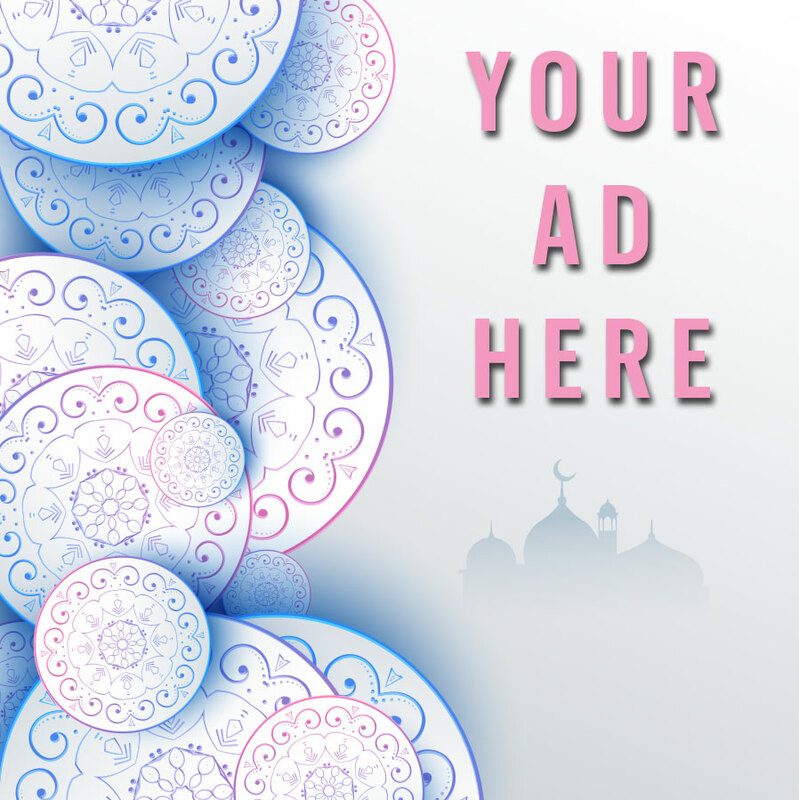 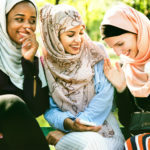 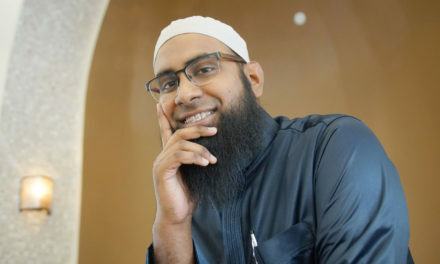 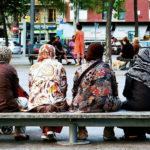 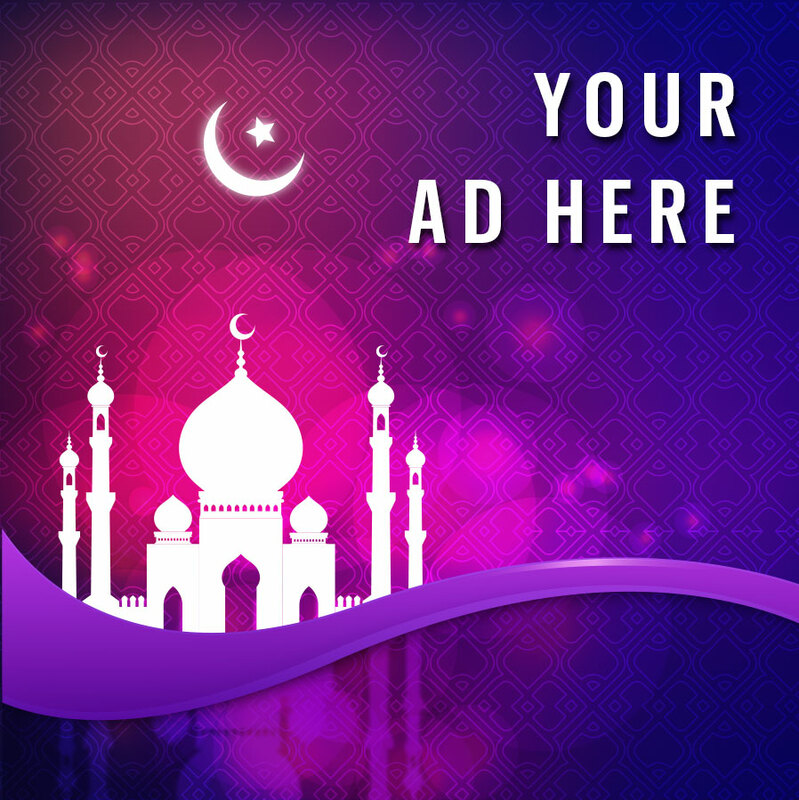 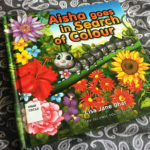 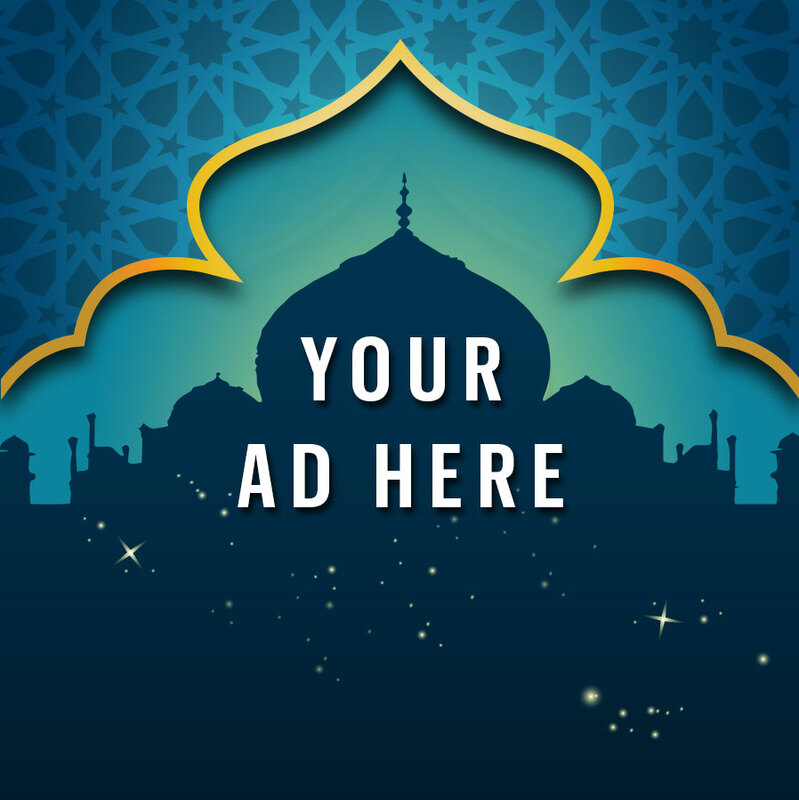 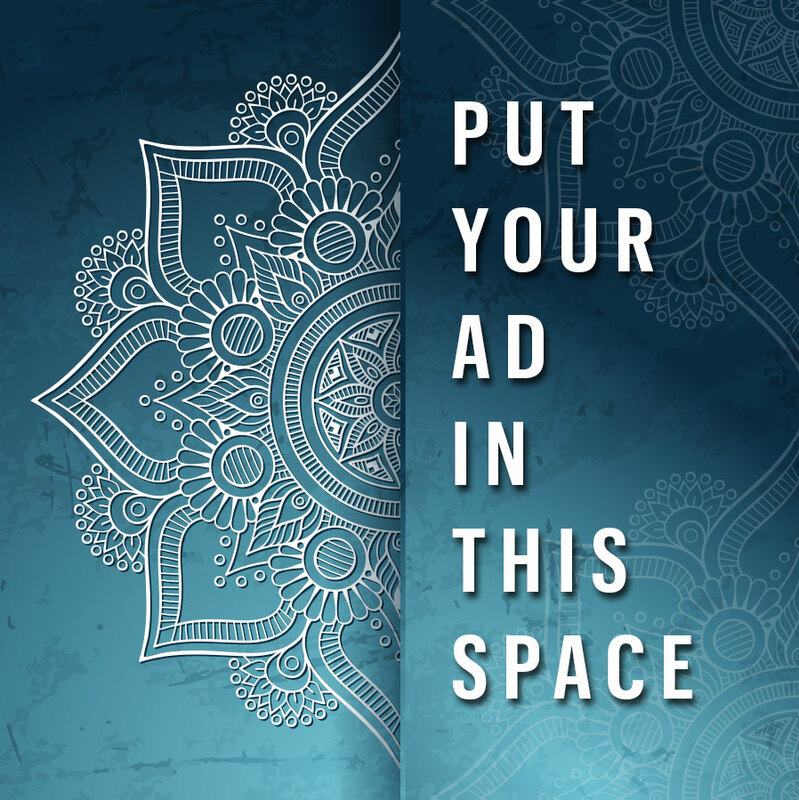 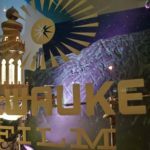 The video clip included specifically focuses on Quranic verses regarding Mary and how Mary is understood in Islamic teachings.